Payback is a term taught in basic accounting, finance, and investing courses. When I was studying as a University of Florida Finance major, payback came out pretty early in the curriculum. The concept is pretty simple. If I invest $1000 and I get a return of $250 per year, the payback is four years. It ignores the time value of money, return-on-investment (yield), and risk. The answer is rather meaningless unless put into context. For example, what is the payback on a nuclear power plant? 30 years? I don’t really know, but it is very long and power companies still seem to want to build them! So how does payback apply to a solar pool heating system? 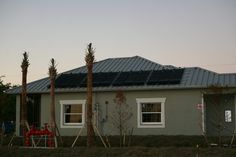 A solar pool heating system really does not have a payback at all unless comparing it to some alternative heating source like an electric or gas heater. Even then, the full benefits are not considered, and the longevity of the system compared to alternative heating equipment is ignored. If you tell me that you currently have a gas heater and that you heat the pool to 86 degrees year-round, I can calculate how much of your current heating costs I can offset with a solar pool heating system. The “payback” would most likely be in the range of 1 – 5 years. For a system that can be under warranty for 15 years and lasts at least twice as long as other heating sources, that looks like a great investment, and it is. However, that tells only part of the story. What if you are using a gas heater now to heat your pool to 86 degrees year-round, but you would like to have it warmer if you don’t have to increase your operational costs? Well, I can give you a payback figure for the gas that is offset with solar, but the “excess” heat generated by the solar has no calculable payback, although there is a benefit. Now consider a pool that is currently unheated. 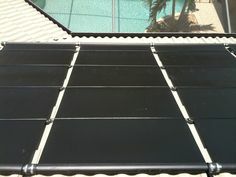 What is the payback of a solar pool heater in this case? You can’t divide by zero, so there really is no payback. You are buying a luxury. After all, what is the payback on a gas or electric heater? There is no payback – only costs. At least a solar pool heater has no operational costs after the initial purchase! In reality, most people that currently have a traditional heating source do not keep their pool at a constant temperature. They fire up the heater on-demand when they want to get in the pool. Of course, that requires planning in advance, and a variable expense based on how much and how long the pool is heated. That’s where a solar pool heater shines – your pool can always be warmer than the unheated pool would be. You can’t put a price on that. The payback is the enjoyment you get from a warmer pool and longer swim season. 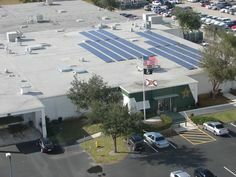 Look for a upcoming articles on solar water heating and solar electric investment analyses.